Day Five In the continuing saga of Going Vegan for my Beatle’s Birthday. 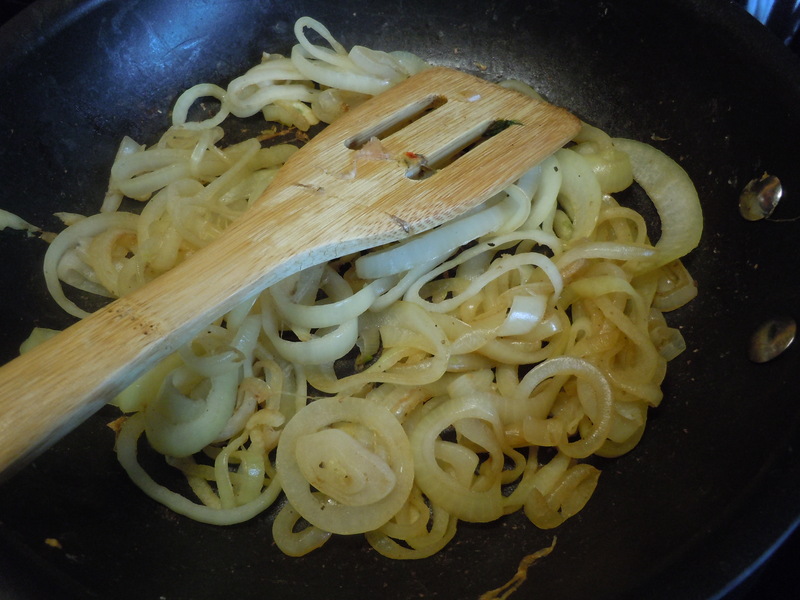 Sauté onion and garlic in dry* non-stick pan, stirring, until caramelized and translucent. 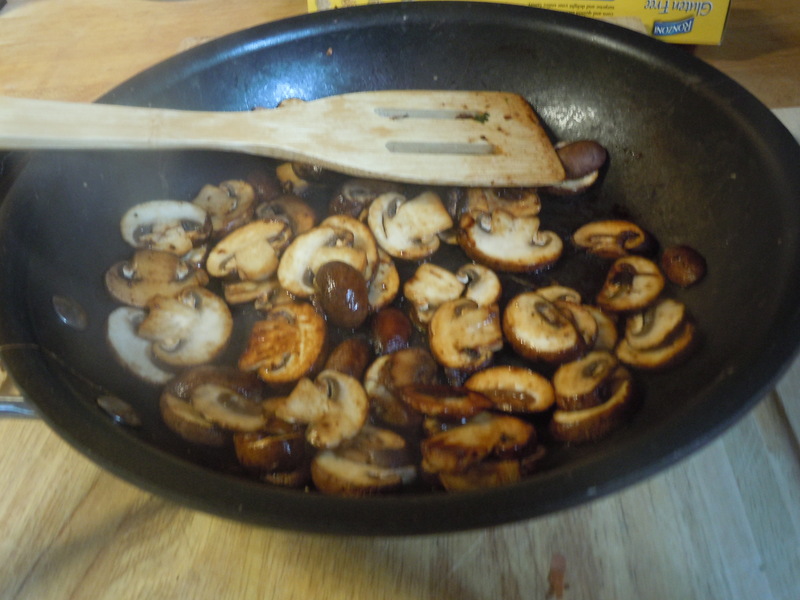 In separate dry* skillet, sauté the mushrooms. Combine all with the tomato sauce. Simmer at least half an hour. *Dry skillet: Oil is not necessary for sautéing, and adds many extra fat calories. Sauté over medium high heat, stirring often. 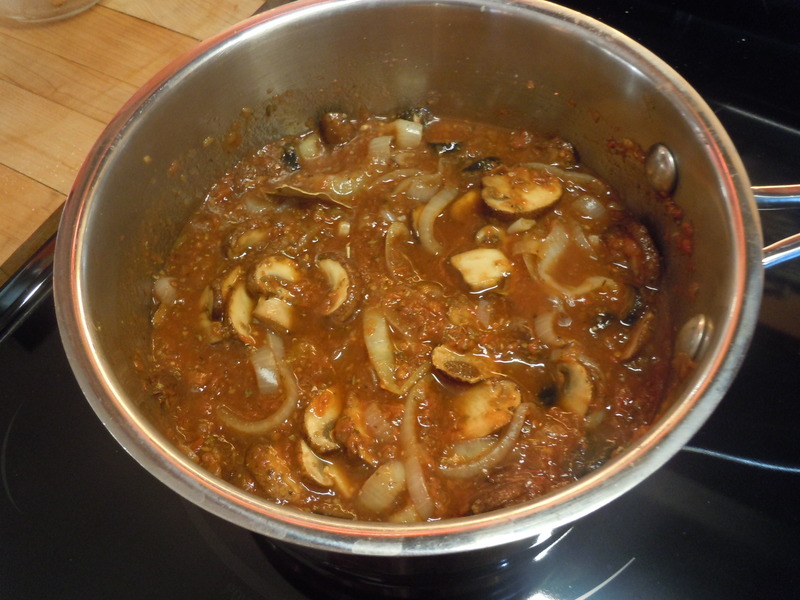 The onions and mushrooms will provide their own liquid. The mushrooms especially will develop a rich brown color. If more liquid is needed, use a little vegetable stock. If you just want some olive oil flavor, you can add ½ teaspoon or so, though there are olives in the recipe. 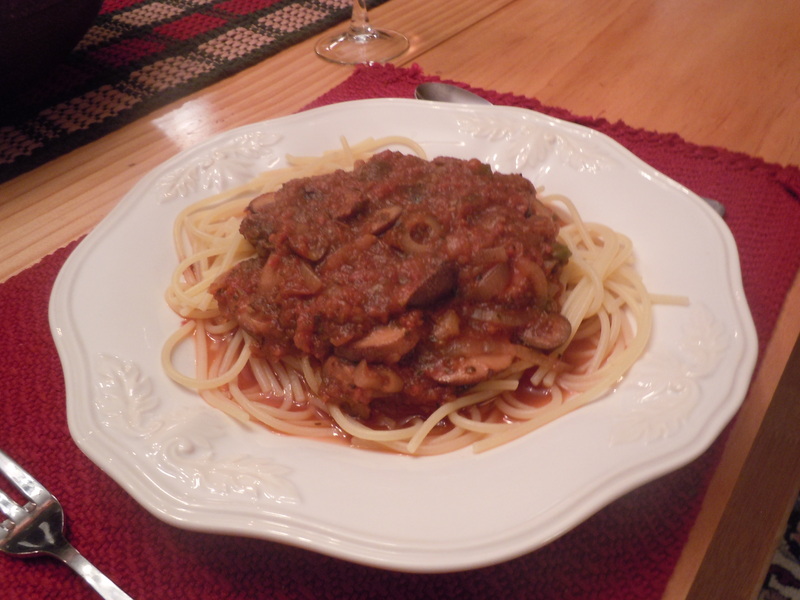 For the Pasta in this dish we are using Schar® gluten-free spaghetti made from corn and rice flours and pea protein.